Minnesota, like the rest of the nation, is experiencing a rapid expansion of the healthcare field as its population grows older. With a greater national need for medical care ahead, the demand for health technologists is growing, and more radiological technologists are required to help fulfill the expanding industry. In the next decade alone, radiography jobs are expected to increase by 12% nationally, leading to more job opportunities and competitive pay to professionals who are qualified. In the state of Minnesota radiological technologists enjoy above-average salaries. The average annual salary for a radiologic technologist in Minnesota is currently about $64,880, with an average hourly wage of $31.19. This is greater than the current national average annual salary for radiologic technologists, which is about $60,320. Like other US states, salaries of radiological technologists can vary in Minnesota, with career factors such as job duties, employer and level of experience influencing salaries. More information on Rad Tech salaries in Minnesota. In the state of Minnesota, radiological technology professionals are required to have an official license in order work. These licenses do not have a renewal date, but licensed professionals must complete mandatory continuing education classes, which vary from 24-50 hours every two years. Some radiological technology professions may have additional requirements that must be met, so be sure to do some proper research before choosing a specific radiology field. Minnesota, like a majority of US states in the nation, uses the American Registry of Radiologic Technologists (ARRT) certification exams to fulfill state licensing requirements. Minnesota is currently home to 11 radiography programs that are accredited by the American Registry of Radiologic Technologists (ARRT). These radiology programs may offer a Certificate, an Associate’s, a Bachelor’s in Radiology Technology, or a combination of the three. Crossing the state border to the south, there are several options in Iowa, including Des Moines, Iowa City and Cedar Rapids. In North Dakota, there are schools in Bismarck, Fargo and Minot, while in South Dakota there are programs in Sioux Falls, Yankton, Aberdeen, Mitchell and Rapid City. To the east in Wisconsin, students will find schools in Wassau, LaCrosse, Eau Claire, Fond du Lac, Oshkosh and Madison. 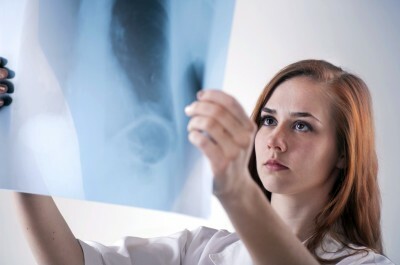 To help further their career, both working radiologic technologists and students should consider joining the Minnesota Society of Radiologic Technologists (MNSRT). This professional organization offers its members benefits including exclusive employment listings and networking opportunities. For more information on radiology education, the Joint Review Committee on Education in Radiologic Technology (JRCERT) is a valuable resource.